Athyrium filix-femina 'Dre's Dagger' is a fern that adds texture to the shade garden. Plant this dwarf Athyrium in a group in front of large-leafed Hosta or next to a cluster of foam flower. Name: Athyrium filix-femina ‘Dre’s Dagger’ aka Dre’s Dagger fern. 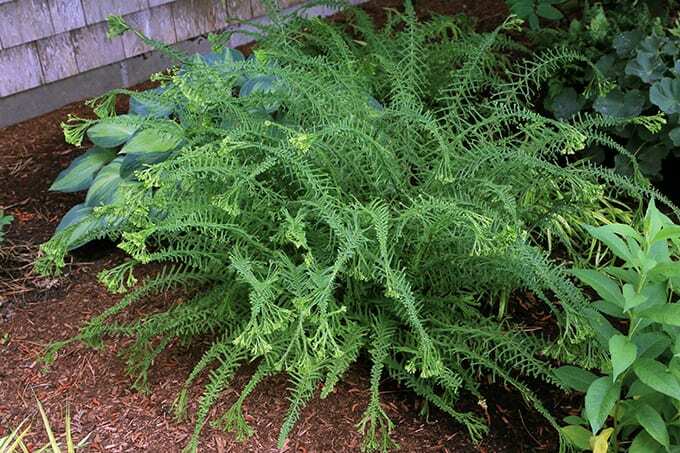 Type of Plant: Perennial fern for part or full shade. Why I Love/Hate this plant: This fern is perfect for texture in the shade garden. 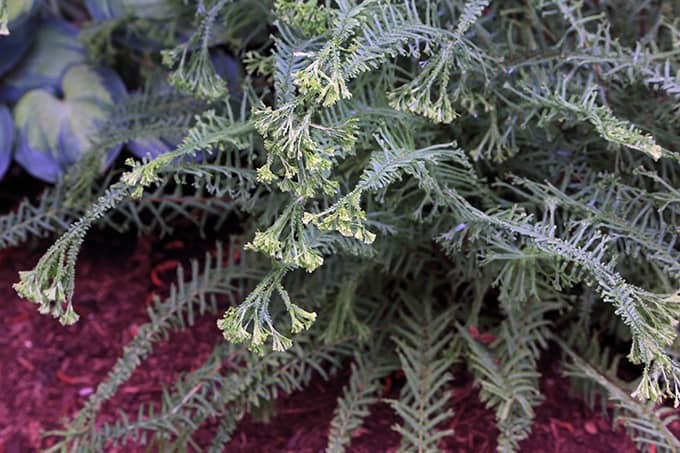 The tips of each frond form little fringes that almost look like the plant has green flowers. It makes a great companion to large-leaf plants such as Hosta and Hydrangeas. A Word to the Wise: This is a dwarf version of this fern, so place it front and center where you’ll see it well. Like many ferns, it appreciates consistently moist soil; amend soil with organic matter before planting and apply an inch or two of mulch to hold moisture in the soil. See how the ends of this fern form small tufts? This adds even more texture than most ferns. 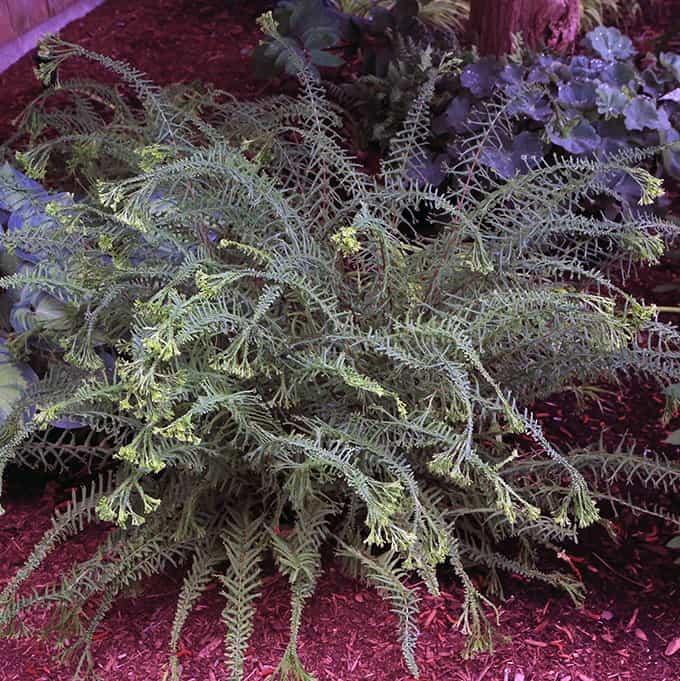 This fern should be planted where it can show off – by a doorway, or along a path through your shade garden.